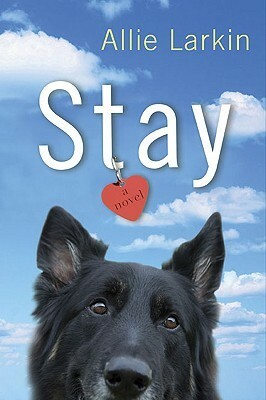 In a post-breakup grab-the-chocolate-and-chick-lit stupor, I picked up Stay by Allie Larkin at my local Hastings. It was the spring of 2011, and to be honest, I was being dramatic—I didn’t even like the guy (incidentally, I met my now-husband several months after—but that’s a different story). It was the dog on the cover that got me. Savannah, or “Van”, has been in love with Peter since their first day of college. Too bad her best friend Janie is the one marrying him (it’s a little bit Something Borrowed, I know). So, in a post-wedding drunken-mistake-fest, she buys a German Shepherd puppy online and names him Joe. She gets him and he is huge. Huge and only responds to Slovak. I absolutely loved this book. I stayed up long after the Hershey’s were gone to finish reading it. I loved Van’s character, and I loved Joe. It was definitely a little bit Marley & Me meets Something Borrowed. She meets Alex, Joe’s veterinarian, who is a very lovable love interest. I enjoyed the fact that their love story didn’t end up being the focal point of the story. In fact, the relationship between Van and her new pup was really the main storyline. 4/5 Goodreads stars for how obnoxiously in love with Peter the MC was…it was acceptable at first, but nauseating and annoying by the end.